Here is a list of Dartmoor Tors and hills in height order. As on the alphabetical list the OS grid reference is also included. The list may surprise a few in that there are 2 hills in the top 5, in fact there’s 4 in the top 10. 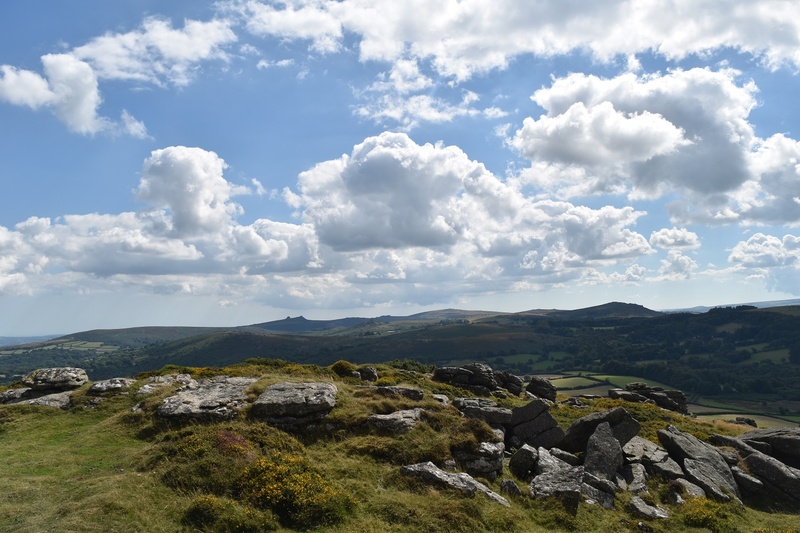 As you scroll down you’ll see a fair number of hills and also rocks, this list is pretty much a complete effort of all that is on Dartmoor, worthy of climbing, with the help of Ken Ringwood’s fine book and a few other lists out there on the internet. There are a few more lesser tops which I haven’t included, most of these are on private land or deep in woodlands making the final summit a dull spot or a place you cannot walk. However the ones included below and that I have climbed are all fine places to spend some time and if I find any more I will keep adding them. You can call these Foster’s Tors list (I figure if Alfred can have his list of Wainwrights then I’m having mine!!). There are 399 of them so happy walking!